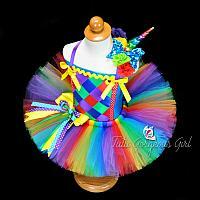 Girls rainbow unicorn costume, unicorn tutu, top and headpiece. 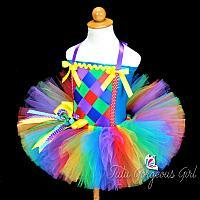 This bright and fun rainbow tutu and top are perfect for a birthday rainbow unicorn costume or Halloween clown costume. 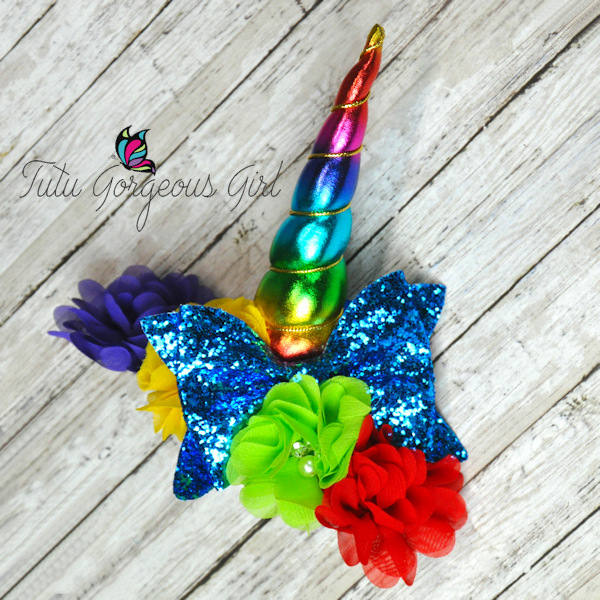 Unicorn horn headband is an optional add on. RAINBOW TUTU: Tutu features red, turquoise, purple, emerald green, and yellow tulle. Includes a layered bow clip at the waist. 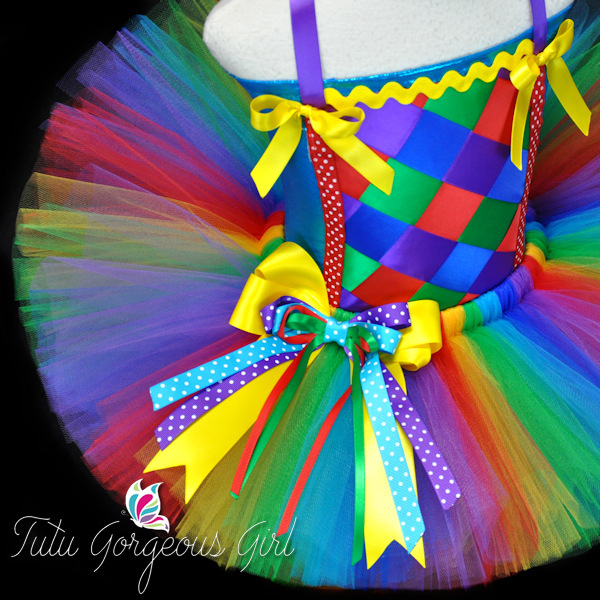 Waistband is a super stretchy elastic that will provide lots of growing room. TOP: Top is made with a metallic stretch fabric. 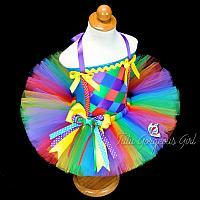 A woven ribbon front is embellished with yellow ric rac, red polka dot ribbon and yellow bows. Please be sure to measure for chest size. Measure snug, just under the arms, all the way around the chest. Ages 12 months - 12 years. OPTIONAL UNICORN HEADBAND: This is an add on option. 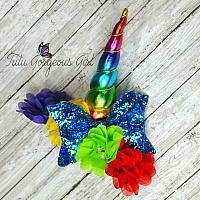 The headband is made with a rainbow unicorn horn, coordinating chiffon flowers, and a glitter bow. Headpiece is held in place by a stretch elastic headband.